Our conversations at Inflexion this past week have been dominated by the familiar sadness, anger, and empathy we have every time there is another mass shooting. But this time it has been coupled with a deep respect and awe for the students of Marjory Stoneman Douglas High School who are demanding laws change in our country to make schools safer. Their courage and articulate views address many of the changes we believe should take place to ensure we have safer gun laws as well as better safety nets for those with mental illness. As I listen to their impassioned calls for action, I can’t help but think of what is not being talked about. Specifically, how we as educators ensure all students are known and that they receive the type of support they need, when they need it. As a former district administrator in the Springfield Public Schools, a community that experienced what Parkland is living through right now, I am reminded of the imprint left after such a tragedy unfolds. In May 1998 at Thurston High School, a recently expelled student shot his parents (both teachers) at home before entering the cafeteria and killing two students, Ben Walker and Mikael Nickolauson, and injuring over 20 others. 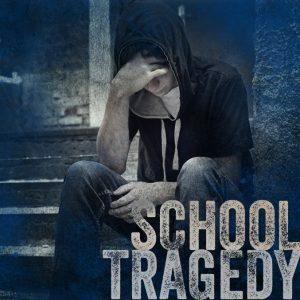 While this happened almost 20 years ago, each time there is another school shooting, the Springfield school district uses a set of protocols to support educators and community members to help them process the trauma of reliving the tragedy. As I reflect on the response of students at Stoneman Douglas, I am hopeful. As I listen to the collective voice I hear a call for collective action and more importantly, I hear the will to make change happen. While the soundbites and the discourse focuses on things beyond the education system’s control, we believe there are things the system should be doing right now. First, students have to be known and to get what they need to be engaged, productive members of the learning community. I do not pretend to know how Stoneman Douglas addresses this, yet know that secondary education in our country has historically been set up in ways where students can go through their whole educational experience and never be truly known by the adults on the campus. How can we ensure students needs are met when we do not truly know them? More importantly, how can we know the strengths, interests, and aspirations our students bring to school that will engage them with our community and their futures? As part of our work at Inflexion, we emphasize how important it is for schools/teams/teachers to “know the name, know the face, know the story” of every kid. In the context of knowing students, schools need to build systems of support so that kids get what they need when they need it. Decreasing the anonymity often felt by students in large schools and ensuring their needs are known and addressed is one of a handful of common sense strategies this country can and should take to help stop what has become an epidemic. Second, we deeply respect, yet are not surprised by, the students who are bravely articulating and demanding changes to end mass shootings in this country. We can and must change our educational system to focus on empowering and engaging the system’s “end users”– the students. For too long the system fixated on discrete knowledge and skills bounded by specific content or academic discipline. This focus ignores the social-emotional and metacognitive skills that transcend disciplines and specific content and are recognized broadly as critical for success in the 21st century skills (communication, collaboration, critical thinking, etc.) that often predict success and are often missing in kids who have flown under the radar in a system focused on content. Do we know the face, name, and story of each and every student? Can we get kids what they need, when they need it? If this answer is no…what are we going to do about it? We stand with the students at Stoneman Douglas with the desire to never have to live through such tragedy again and encourage educators to do our part in building systems and structures where students are known and get what they need.